Once you have a system that becomes important to your organization, you will want to begin to monitor it to ensure that it is up and running and to be able to measure and create uptime reports for those services for yourself and your supervisors. The easiest and most cost effective way to do this is by monitoring your systems with Nagios. All of this can be done easily with a simple Nagios system. Step 1 – Get a small cloud VPS server from Linode, Rackspace, Digital Ocean, Media Temple, etc… with your favorite Linux operating system. 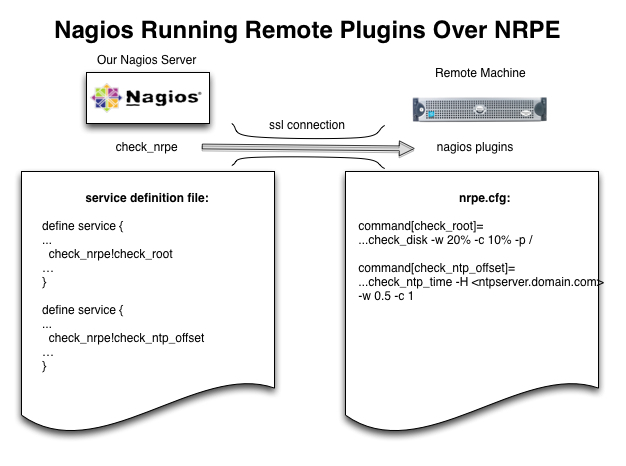 Step 2 – Install Nagios and Nagios plugins using the steps in this blog post below. 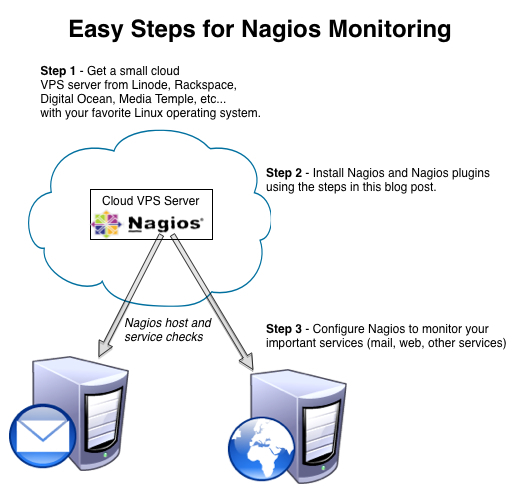 Step 3 – Configure Nagios to monitor your important services (mail, web, other services). Not only is it important for your important systems to be up, but they need to be available to the important locations. For example, if you want to be sure that your website is up for all of your customers and the rest of the internet in general. So, you will want to monitor your website from a location exterior to where it is being hosted. If it is being hosted from your office, create your monitoring system elsewhere. If you have your website hosted at a hosting company, you need to install your monitoring system at a different hosting provider. The easiest way is to choose a VPS somewhere and install on it. For this example, I did this on a small VPS from Digital Ocean. 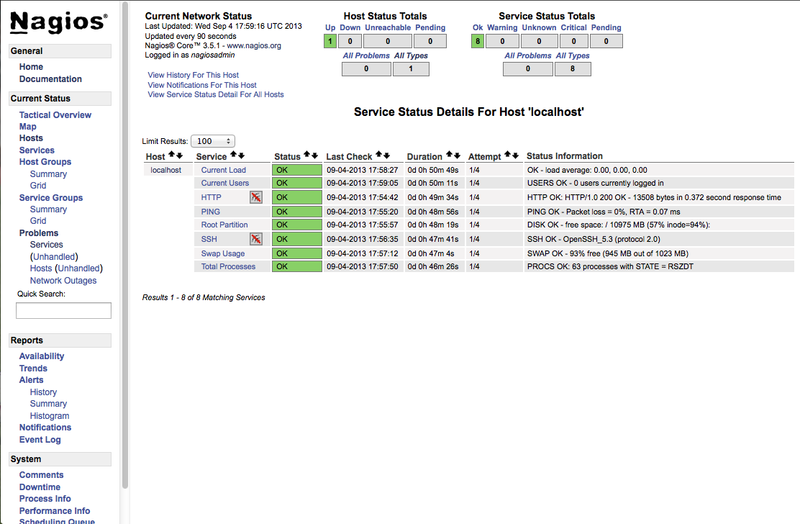 When I created my Nagios VPS, I chose CentOS 6.4. Before I can compile and install Nagios, I need to install the prerequisites that are used during the compilation. Retype new password: <type in a password here> passwd: all authentication tokens updated successfully. We want to protect our Nagios system so that only we can get in with a web browser. we do this by creating a htpasswd file that will setup a userid and password for us to type in our browser when accessing Nagios. 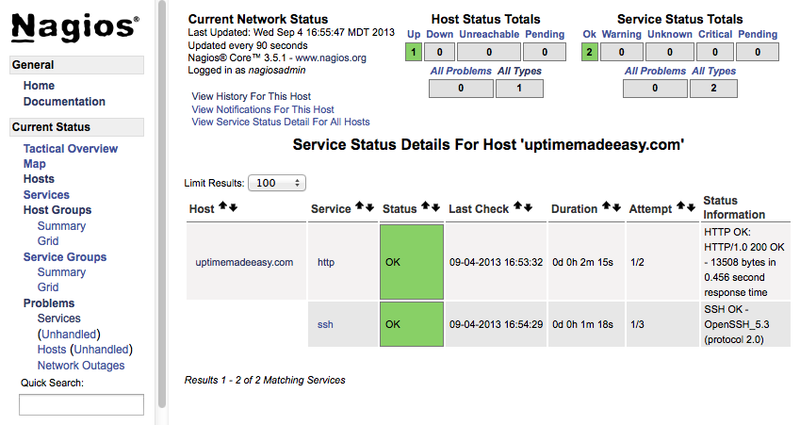 We should now be able to login to the Nagios system we just installed and begin monitoring our Systems with Nagios! We browse to it using the ipaddress of our Nagios server. In my case, this is the address of my VPS: http://<ipaddress>/nagios. When we login, we will need to use the username and password we set above. Next Step – Define Nagios Hosts and Services. Click Here to go to the Define Nagios Hosts and Services Article. this is perfect! exactly what i needed!